The first Sunday in February sees Americans everywhere get together, eat some food and watch the big game. The Super Bowl is a major date in every American’s calendar – whether they usually enjoy American Football or not. This year, Super Bowl LIII (each game is numbered by Roman numerals) will take place on February 3rd. The Super Bowl is the annual championship game of the National Football League. The season that sees American Football teams pitted against each other to reach the Super Bowl begins in the late summer. The competition for this year’s Super Bowl, therefore, began in Summer 2018. But the Super Bowl is no longer confined to U.S. borders. It’s broadcast in over 170 countries, and is fast becoming one of the most-watched sporting events in the world. Part of the reason for this is because of its elaborate halftime shows. These have become a spectacle in their own right, featuring artists such as Beyonce, Michael Jackson, Lady Gaga, Madonna and Prince, performing a 30 minute set. Further celebrity appearances and even the cutting-edge, exclusive adverts, all add to the Super Bowl’s appeal. Indeed, some viewers tune in solely for the musical performances and commercials. But it didn’t start out like that. 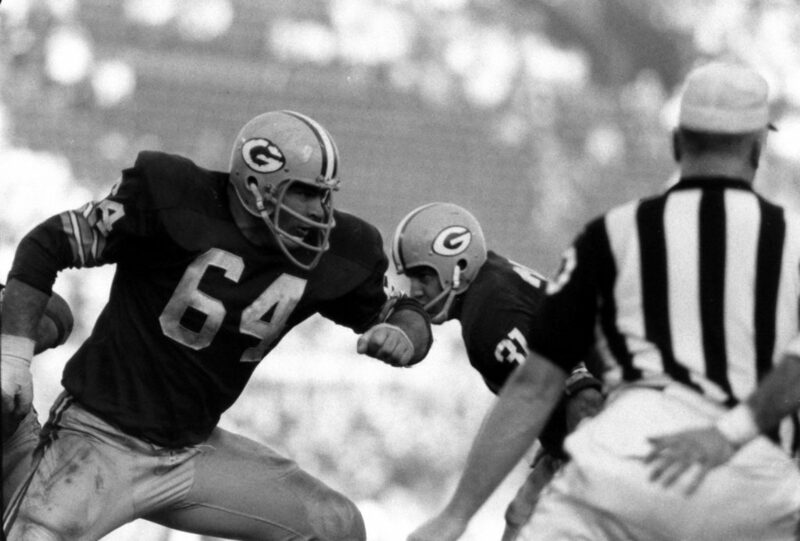 The first Super Bowl took place on January 15th 1967 between the NFL’s Green Bay Packers versus the AFL’s Kansas City Chiefs. It combined the champions of the NFL with those of the AFL (American Football League) who were, at the time, bitter rivals. Coming together, the game was originally going to be called the AFL-NFL World Championship Game. However, the AFL’s Kansas City Chiefs’ owner Lamar Hunt, suggested calling it the “Super Bowl” and the name stuck. The first few Super Bowls were rather modest. In fact, the first Super Bowl failed to completely sell all of its tickets. Halftime shows featured marching bands from local schools and colleges (a far cry from today’s star-studded line-up). However, after the first couple of years the Super Bowl became a huge hit and a new American tradition was born. Now, ‘Super Bowl Sunday’ is considered by some as an unofficial American national holiday, with the following Monday dubbed ‘Super Sick Monday’ because of the sheer number of workers who call in sick. It’s the second largest day for U.S. food consumption, making it a lucrative event for American supermarkets, takeaways and restaurants. 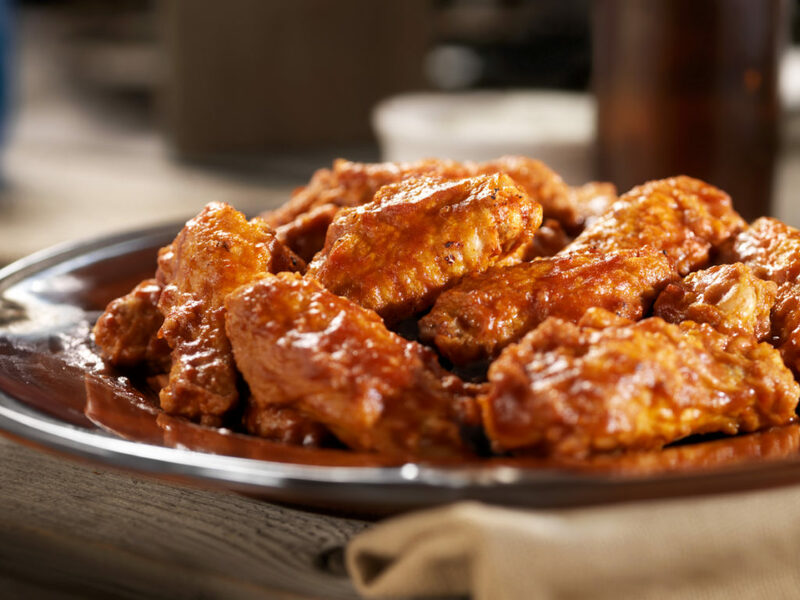 1.3 billion chicken wings are estimated to be eaten every Super Bowl Sunday. But what of businesses overseas? The Super Bowl is fast gaining global appeal, meaning that all businesses (no matter their size or location) can get a piece of the Super Bowl pie. Especially in the UK, where the rising popularity of American Football has seen the NFL cross overseas to play in Wembley Stadium. Following its sold-out games in 2018, it’s now planning to return for four more games in 2019. Naturally, a lot of brands have benefitted from associating with the Super Bowl, with many coughing up a lot of cash to advertise. It’s estimated that a typical 30 second advert that airs during the Super Bowl costs, on average, over $5 million. That doesn’t include the cost of actually making the advert. But for some, the cost is worth it. Some notable adverts that have shown during the game include Apple’s 1984 commercial. This really set the standard for Super Bowl commercials, with many businesses realising that they should create exclusive ads just for the big game. Other adverts have included the classic Old Spice commercial “The Man Your Man Could Smell Like” and an advert placed by Beyonce to capitalise on her halftime show. This advert helped Beyonce’s Formation World Tour become one of the top 20 highest-grossing musical tours ever. Of course, small businesses aren’t expected to have millions to spend on Super Bowl advertising. But, getting involved in the Super Bowl can help boost revenue at a tricky time of year when consumers are still recovering from Christmas. Some of the most imaginative Super Bowl marketing campaigns have come from small businesses with limited budgets. CopyKat, an online site dedicated to copying popular restaurant dishes at home, used the Super Bowl as an opportunity to build its food community further. It held a promotion encouraging the community to submit original and unpublished Super Bowl recipes. These recipes were then shortlisted and users could vote on their favourites, with the winners receiving various cooking utensils. This relatively simple and inexpensive campaign helped attract new visitors to CopyKat and created a buzz for the brand. Whilst also having some fun and getting into the Super Bowl spirit. Heineken itself isn’t a small business, but the Newcastle Brown Ale offshoot didn’t have the budget for a prime time Super Bowl spot. So the brand decided to create a social media campaign that made fun of the fact it couldn’t afford to advertise on the Super Bowl and that included celebrities such as Anna Kendrick. That year, it became one of the most talked about ad campaigns despite never appearing on-screen during the game. Also, highlighting the power of social media. With these examples in mind, what can small business owners do to capitalise on Super Bowl fever? There are many ways, to suit all budgets and businesses. With an actual Super Bowl advert well out of budget, small businesses need to get creative when it comes to big game commercials. You can create a humorous ad to run on your social media channels, or even local airwaves if your budget will allow. It could also advertise other Super Bowl-related activities that your business is running, such as a giveaway or special event. Just make sure it stands out and is memorable. Just a word of warning here, the NFL has trademarked the phrase ‘Super Bowl’ and you risk getting in trouble if you use it. Many brands have got around this by using the more generic ‘big game’. Small businesses can get consumers’ attention during the Super Bowl by offering promotions that are only available on Super Bowl Sunday. This doesn’t just include restaurants and takeaways, who are obvious contenders for Super Bowl spending. Ecommerce stores can offer exclusive discounts to encourage people to shop whilst watching at home. Other businesses, such as furniture retailers, can take advantage before the big game by running a ‘get your home kitted out for the Super Bowl’ style promotion. Linked to promotions, you can also run a game day giveaway that’s linked to what happens during the Super Bowl. If a team scores more than 40 points, all diners in a restaurant can get 40% off mains. If a particular player scores a touchdown, a retailer can promise a future discount. This can be a great way to encourage people to engage with your brand whilst watching the game. Running a Super Bowl event is almost a no-brainer for some businesses, such as restaurants and bars. But others can get involved too. As long as your venue has the space for some comfortable seating and a big screen, you can hold a good Super Bowl party. It can be a great way to socialise and enjoy the event with customers, as well as attracting new ones through the door. A furniture shop could make use of its sofas and set up a pop-up theatre for the day. The same applies to an electronics retailer. Even more left-field businesses like bookshops can get involved. Why not hold a Super Bowl screening in-store, whilst offering a discount on Super Bowl related books? As for restaurants and bars, simply throwing a Super Bowl party might be too easy. Instead, get creative with the themes. One Super Bowl, saw the Atwood Sports Bar and Lounge hosting an indoor tailgate party. Every time the Patriots scored (one of the teams playing that year) all customers were given free red and blue shots. Likewise, in PJ Whelihans, the theme was green one year, with green smoothies, cocktails and even beer on tap. A photo booth was also set up with props and swag for game day selfies – perfect brand exposure when those photos were later uploaded to social media. Special game day menus can also be a good way to encourage diners through the door. Depending on the teams playing, serve up regional specialties such as clam chowder, Philly cheese steaks, hoagies or lobster rolls. 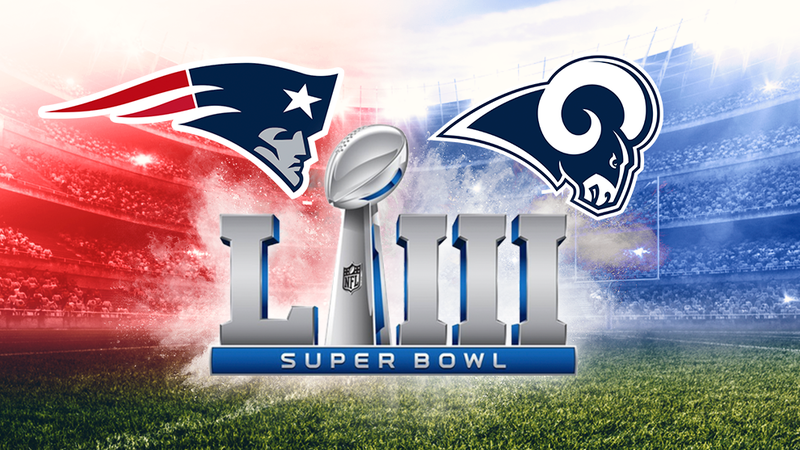 The teams are now set as the Los Angeles Rams and the New England Patriots, so best start practising your clam chowders, lobster rolls, matcha lattes and cannoli. You can even hold an LA versus Boston food fight, to see what area’s specialities come out on top. Or, if neither region floats your culinary boat, why not go for some classic Southern American cuisine? The Super Bowl takes place in Atlanta this year, which is famous for its soul food. This ties in closely with hosting an event and can be done in tandem with one. Holding a contest that has to be done on-site will attract football fans through your doors. It could be something as simple as a ‘Best Super Bowl Costume’ competition or as ambitious as a hot buffalo wing eating challenge. Just make sure that it’s in line with your overall brand and will appeal to your target customers. It works particularly well if you already expect a crowd on the day, or if you have a strong social media presence to spread the word. You could even invite a local celebrity (or an American footballer!) to be the first to take the challenge. Whilst the Super Bowl is about supporting the teams playing, many businesses also choose to support a local good cause as well. Finnegans, a beer company based in Minnesota, donates 100% of its profits to local food banks. This meant that budgets were limited when it came to Super Bowl marketing. With so many people on social media swapping their experiences of the Super Bowl, it can be a good time for businesses to get online too and engage with consumers. Social media contests can be one way to attract interest. For instance, a men’s clothing retailer could encourage viewers to submit photos of their Super Bowl outfits and others could then vote on the favourites. The winner could get a special discount or their next Super Bowl outfit for free. Likewise, a TV store could ask customers to share their TV set-ups for watching the big game, or a furniture shop could share photos of viewers’ football-watching seats. Alternatively, instead of holding a contest, have some online commentary during the game and interact with the conversations happening. The Super Bowl is such a big event that it’s constantly trending online on Super Bowl Sunday – again, not just in the U.S. but across the world. On Twitter and Instagram, make sure you use relevant hashtags (like #SuperBowl) so that your posts get seen. Talk about the big plays during the game or other aspects of the game such as celeb appearances. Plan different ways to tie your business in with the highlights, through GIFs or witty Tweets. Use it as an opportunity to showcase the people behind your business and your personality. The key is to find a relevant tie-in for your brand. So, if your target consumer tends to be music buffs, talk about the halftime show and what you did (or maybe didn’t) like about it. If you’re aiming for marketers, comment on the commercials playing. Make sure you can respond in real-time. It’s a lesson well highlighted by biscuit company Orea. 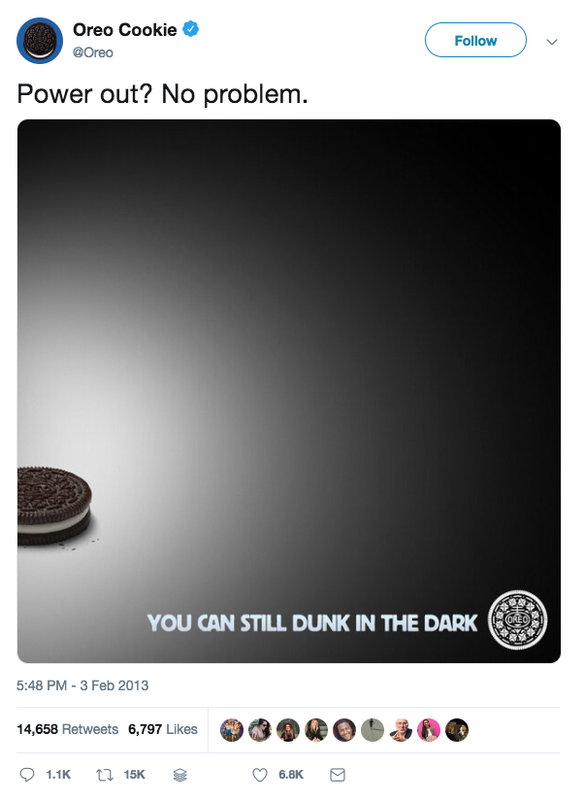 In 2013, when the lights suddenly went out during Super Bowl XLVII, Oreo stole the show with its witty (and quick!) Tweet “You can still dunk in the dark.” Your brand needs to react quickly to anything that happens during the Super Bowl, especially if it’s unexpected. Handily, this is often an advantage that small businesses have over larger ones – they can react more quickly than a company with lots of people involved in decision-making. Finally, if in-store events or social media contests aren’t aligned with your business, consider creating some Super Bowl specific content to take advantage of the many people searching for it online. Lots of Super Bowl fans go looking for relevant content as the game approaches. Therefore, a blog post talking about American footballers’ diets or training, or an article on Super Bowl marketing ideas, will be popular in the run-up to the big day. 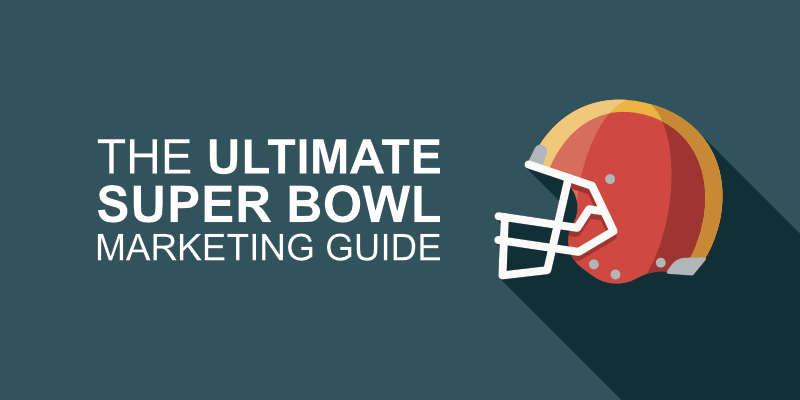 Planning ahead will really improve your Super Bowl marketing results. In the weeks before the big game, it’s worth telling customers about your plans so that your business is on their mind when the Super Bowl starts. Build up excitement by handing out information in-store, sending emails and sharing early on social media. Speaking of which, don’t forget to use all the marketing channels at your disposal to spread the word. Social media and email are usually good bets, but also use offline marketing if relevant, get your employees talking about it and put pop-ups on your website. Consider running your campaigns for a while after the Super Bowl finishes to maximise revenue. Tying in the results of the game is an effective way to maintain momentum, as is running a sweepstake predicting the winner. The Super Bowl is becoming more popular for consumers across both sides of the pond, so small businesses in the UK should pay heed. It has become one of the most anticipated times of the year for American marketers and may well prove fruitful for UK-based ones. By getting involved, you’re in the running for some of the millions of dollars (and pounds) spent over Super Bowl weekend. Just like the Super Bowl itself, you’ve got to be in it to win it.